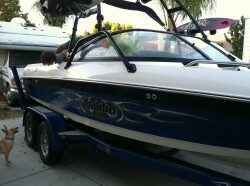 Description: 2004 malibu wakesetter vlx. excellent condition. 185 hrs. seats 11.Ballast system. perfect pass. ready to take out.